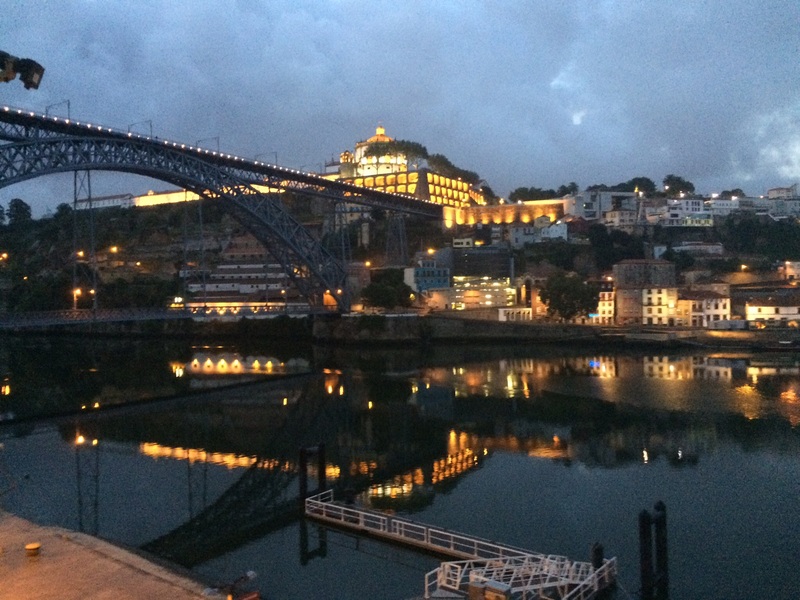 Our intiation to Portugal was definitely enhanced by the hospitality of our friends but now it was time to venture out on our own. 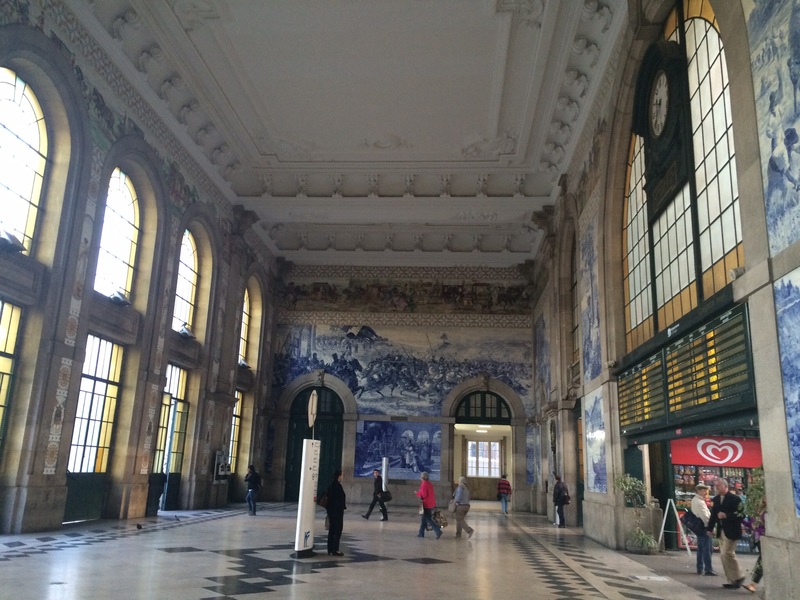 After saying our farewells, we boarded the train in Pombal and headed north arriving a little over an hour later in the beautiful Porto train station. As is typical in old Medieval European cities, if you have booked a room in a hotel in the old part of town, you may have to hunt for it. 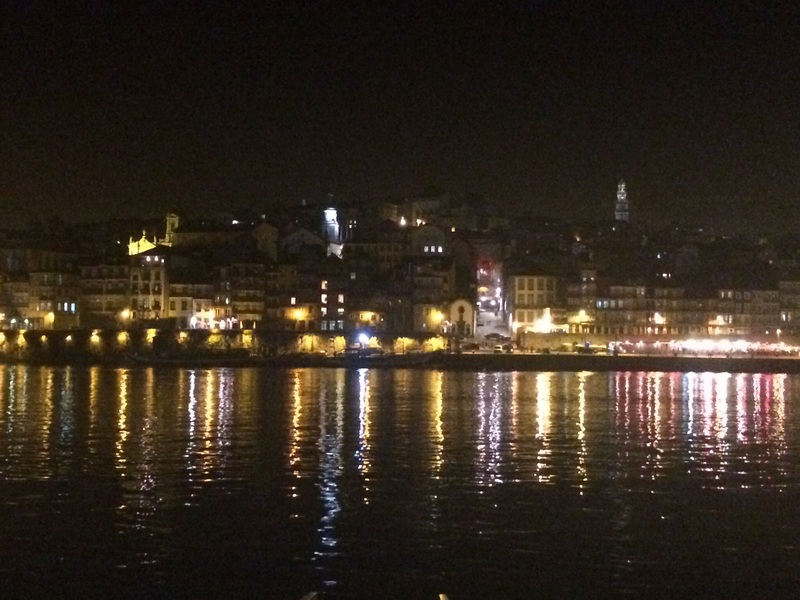 We knew our hotel (Apartmentos sobre o Duoro) was on the Duoro River so we headed downhill through the crowded and somewhat tired-looking old city to the waterfront. The tight, cluttered streets suddenly reminded me of Naples Italy but thankfully minus the stench and the garbage. After many passes by our address, we discovered our place had no reception – just a phone number taped to the door (also typical in Europe unless you are staying at a 4-5 star hotel.) We found the owner in a nearby bar and being somewhat unsure of our choice of accommodations, we were more than pleased when he showed us our upper room. The entire place had been restored with particular attention to the original high ceilings, stone walls and old wood beams but it was decked out with the latest modern conveniences and impeccably clean. Our room had big french windows facing the river and opened wide to reveal the sights and sounds of the waterfront. 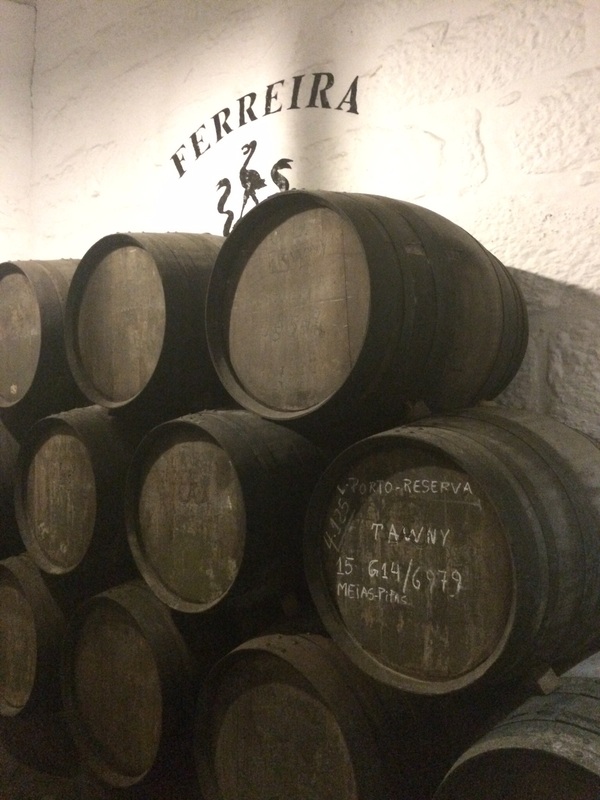 Our stay in Porto was one short night dampened by pouring rain, so rather than walk the city we took refuse across the bridge in a “port cave” (Ferreria Cellars) and waited for a port wine tour/tasting of the liquid delicacy that put Porto on the map. 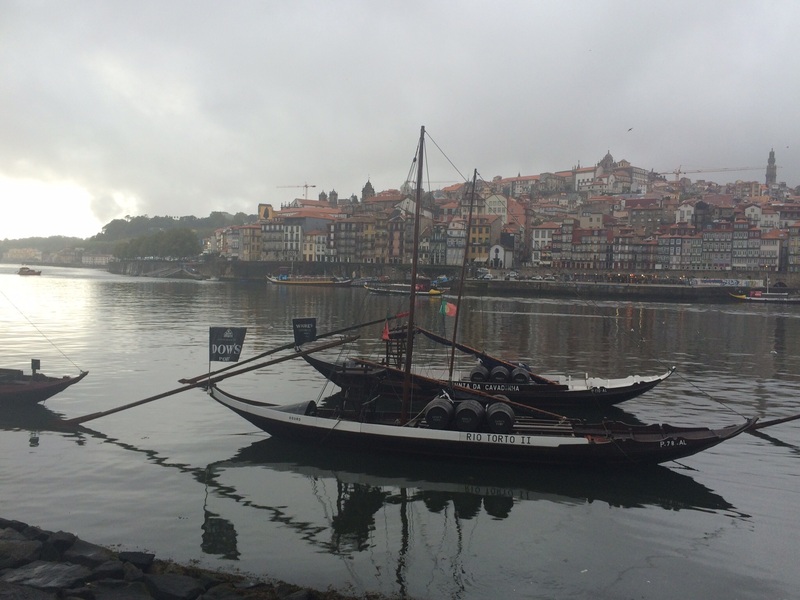 Who knew there were so many different varieties of port wine? My new favorite dessert! Tapas at a cute little side street cafe were followed by a late dinner of ..what else…codfish at a highly recommended restaurant called Baralhoiero on the waterfront. 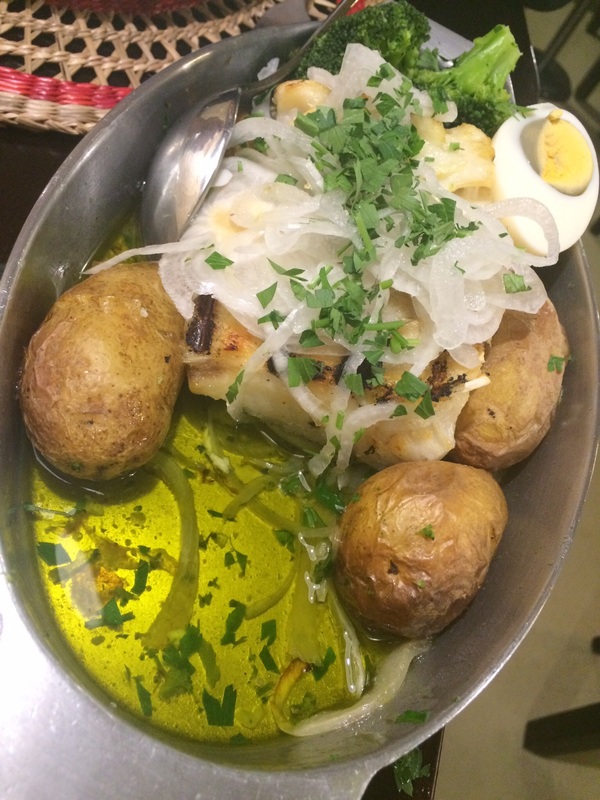 This dish was a large codfish steak baked with potatoes, broccoli, onions and garlic all swimming in a pool of extra virgin olive oil – heaven! Falling into bed well after midnight, we were lulled to sleep by the musical sounds of soft Portugese conversations mixed with the clinking of glass and occasional music in the cafe below.